Keble's Trading offers an assortment of square tube fittings from square tube bends to square flanges and joiners. These are available in both grades 304 and 316. 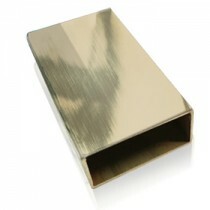 We can supply them in satin or mirror finish at very competitive prices. We have in stock welded tube from 12.7 x 1.6mm to 50.8 x 1.6mm in size, and rectangular handrail tube in 50.8 x 10 x 1.5mm to 50 x 25 x 1.6mm. To close off and protect tubing, we have Square Tube Cover in 3" - 1 1/2" to 4" - 2" size, and square plate in 1 1/2" to 2". To secure handrail in place, we have from adjustable rail support "flat top" to post reducer square-round “90 degree corner”, in 2” sizes. 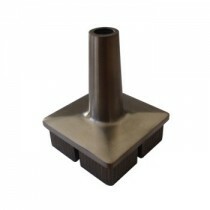 We carry end caps that are in 50 x 25 and flat end caps in 1 1/2" to 2" sizes. 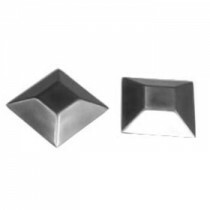 Our wide array of flanges from rectangular wall flange in 50 x 25, to oblong flange that are in 2” size, are ideal to suit your handrail requirements. 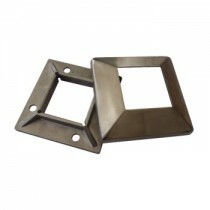 Our supply of joiners from rectangular elbow to flush joiner “Tee” are available in 50 x 25 to 2” sizes. We source products from global leading manufacturers to ensure you get consistent reliable-quality square tube & fittings. Furthermore Keble’s Trading Pty Ltd makes no recommendations and takes no responsibility for the use of any components or products used in the installation of any Balustrading and Handrail system designs. If you’re looking to find the easiest way to complete a balustrading project and get the best possible result without compromising on quality, using the right fittings and materials is crucial. 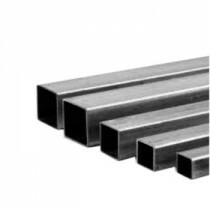 When it comes to buying square tube fittings such as stainless steel square tube connectors, you can trust Keble's Trading to have the good-quality products you need. At Keble's Trading, we're all about simplicity and ease – supplying you with the right square tube fittings the first time you buy from us so you can focus on getting the job done. We have a selection of square tubes and other parts in a range of ready-made sizes to help make your next project easy. 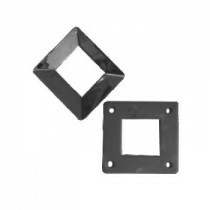 Whether you need rectangular end caps or stainless steel square tube connectors, you’re sure to find what you need. 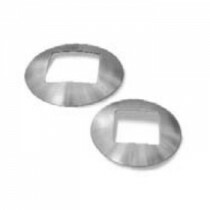 We can also cut tubing to your length specifications on-site to save you time. We deliver Australia-wide, so browse our complete square tube fittings range and order today. You can also visit any of our four conveniently located Melbourne stores. Turn to Keble’s Trading for reliable-grade SQUARE TUBE & FITTINGS. Talk to us! We speak your language! We understand your business. Call us at 1-800-067-687 or fill out the contact us form below. No inquiry is too large or too small. We would love to be of service to you today!